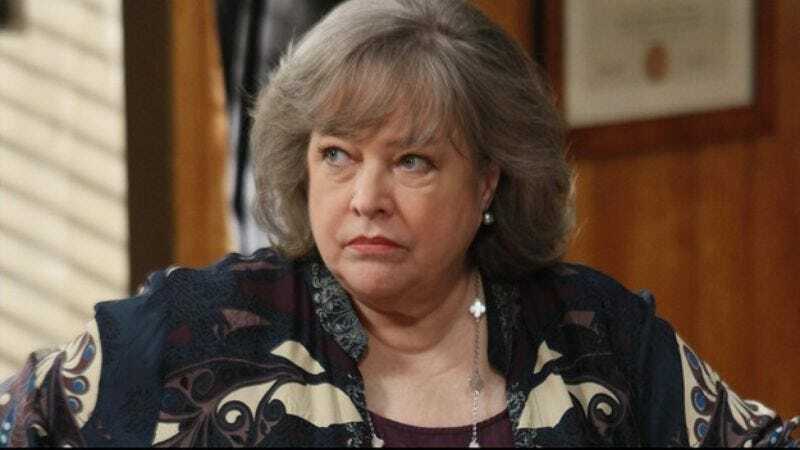 Conjured by the magic words “female power” and “job,” Kathy Bates is in final talks to accept a job on the “female power”-driven next season of American Horror Story, which continues to add more and more females it can feed into its turbines and power the show. According to TV Line, the next season—still only vaguely described as “more historical in nature” but also it takes place in the modern day, across different time periods and cities, and also it’s an ice cream—will find Bates playing the best friend-turned-enemy of Jessica Lange’s glamorous leading lady character. She joins a cast of returning, not-leading ladies like Lily Rabe, Sarah Paulson, and Taissa Farmiga, as well as Frances Conroy, suggesting every season of American Horror Story will feature at least one Six Feet Under reunion. (Next time get that stripper Rico had an affair with!) Details are, obviously, scarce beyond that, but presumably something crazy will happen and then Kathy Bates will roll her eyes at it, like, “Oh, puh-leez,” like she does.